The two most anticipated VR headsets of the year—Oculus Rift and HTC Vive—are both experiencing some initial launch pains, though for different reasons. One is dealing with shipping issues while the other had some difficulty processing payments. The good news is, these are temporary hiccups, and rather minor in the grand scheme of things. 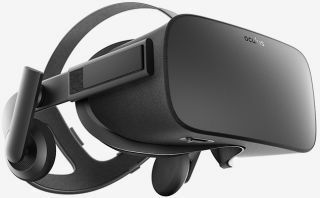 Starting with the Oculus Rift, some early adopters who pre-ordered a headset started to grow antsy when their orders didn't show up on time. To make matters worse, Oculus was initially quiet on the matter. Meanwhile, some buyers noticed that their shipping charges had been reversed, leading them to wonder what Oculus was up to. It's said that silence is golden, but in this case, the silence from Oculus was outright maddening. We know you're anxious to receive your Oculus Rift, and apologize for not updating your order status sooner. We've been working through an unexpected component shortage, and unfortunately, that issue has impacted the original shipping estimates for some early customers. Oculus CEO Brendan Iribe reiterated the situation in a Twitter post that same day, adding that the free shipping applies to all orders, including international. Other than chastising Oculus for the lack of communication leading up to Saturday's email and Twitter post, some who pre-ordered a Rift mostly seemed happy with the apologetic shipping refund. Others, meanwhile, are suspicious and upset about the Oculus terms of service. HTC also ran into a bit of trouble with its Vive launch, and specifically with processing orders. "While fulfilling this week’s orders for HTC Vive, a limited number of individuals were affected by auto cancellations due to processing issues with financial institutions. We’re actively working to resolve this, and have already reinstated orders for some customers," HTC stated in a blog post. HTC apologized for the screw up and said it's working with customers to ensure their payments are processed and that shipments will go out when expected.